He is ready for Oktoberfest! Are you? 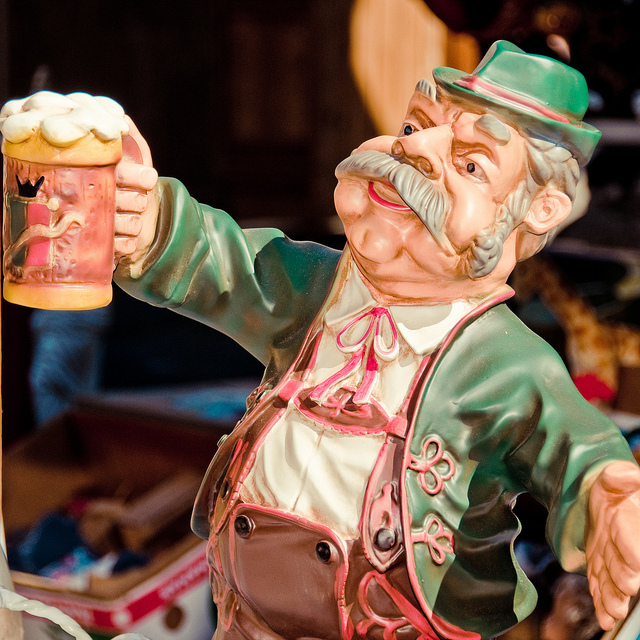 Bratwurst and Knockwurst and Beers…Oh My! When Crown Prince Ludwig I married Princess Therese of Saxon-Hildburghausen in 1810, he had no idea the tradition he set in motion. The seventeen day celebration became the Oktoberfest we all know and love, and the one that will be starting next weekend at The Convention Center at Big Bear Lake. This tradition has been going on for forty three years in our neck of the mountains, and it is one of the best in southern California. To accommodate all of the people that will be at the event every weekend from September 14 to October 26, the three main Bier Gartens will be expanding. This includes adding another outside stage. There will be plenty of music to experience on these stages, from traditional German music to classic rock. You can also spend some time walking up and down the Avenue of Booths (Bundenstrasse) and do some shopping – maybe for some homemade delicacies and crafts, or perhaps a new pair of lederhosen. Either way, there is plenty to do at this festival for all ages. Beer may not be your forte. You may be looking for something a little lower key and local. The Big Bear Lake Village Association will be throwing their Autumn Wine Walk on September 31 from 3:30 to 7 PM. This is the fifth year for the event, and it has been growing every year. Lapis Luna wines will be featured at many of the stores, where you will be able to browse the local vendors and craftsman while enjoying food from local restaurants like The Captain’s Anchorage, El Jacalito, and Sugar Pine Bake Shop. If you are not familiar with the attractions that The Village offers, this is the perfect opportunity to explore it. This weekend will be full of classic cars, fun runs, and a little late season golf. September has plenty of events we are looking forward to talking about, including a little snowboarding! You can use our convenient online reservation system to secure a room, or call and speak to one of us to help you out. Take some time out of your relaxing weekend to stroll along the trails or dip your toes in the lake, if you like. We may be enjoying the bouquet of a delightful wine or raising our steins and singing! Gallery | This entry was posted in What to see and do and tagged Autumn, Autumn Wine Walk, Big Bear CA, big bear lake, big bear mountain, cabins, Dining, events, Fall, holidays in Big Bear, Oktoberfest, weather, What to Do. Bookmark the permalink.